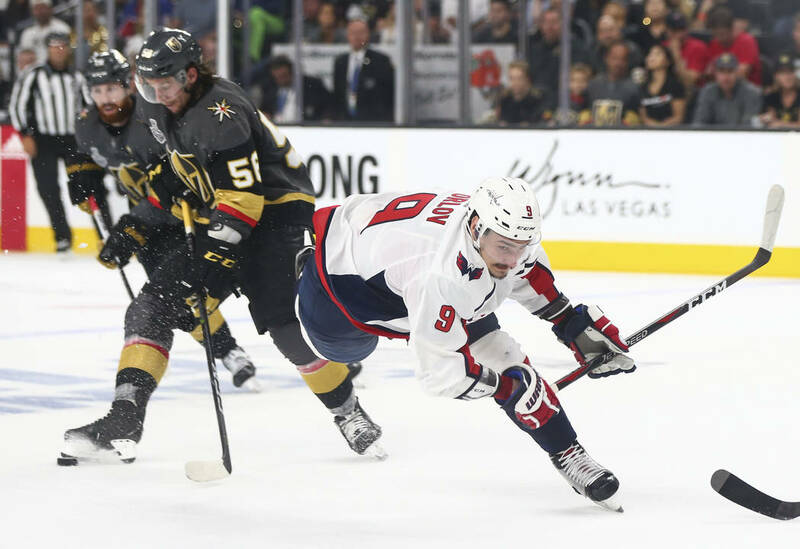 Tweets from around the hockey world during and after Game 1 of the Stanley Cup Final between the Golden Knights and Washington Capitals at T-Mobile Arena. No one does entertainment like Vegas does. I’ll take six more games just like this, thank you. This game is bananas. Carlson was almost caught in a brutal spot, ends up scoring beautiful goal off slick pass from T.J. Oshie. All tied again. They're going to give that goal to Tom Wilson, but it was Fleury who kicked into puck into the net. Tomas Nosek with the one-timer from the right side and it's 5-4 Vegas with 10:16 remaining in the third period. Unreal pass by Shea Theodore that probably should never make it through the slot to set it up. This hockey game is all loads of fun. And one of the greatest stories in sports continues. Vegas scores in the empty, will win 6-4. What a Game 1 this has been. Nosek seals it with an empty netter and 2.7 left. Knights will hold on and win Game 1, 6-4. This is going to be a crazy series. Hair on fire hockey introduces the Stanley Cup final to Las Vegas. I’m happy to see more of it as this series moves on. 1-0 VGK. 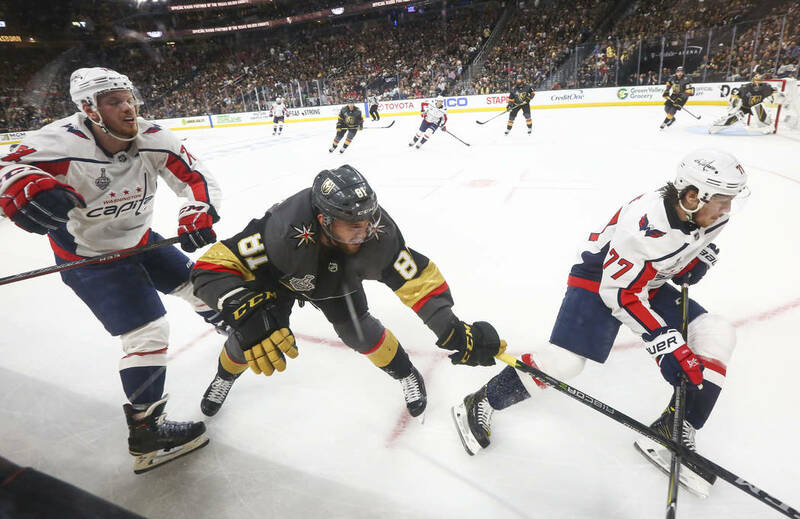 Game 1 between Vegas and Washington was the first game in Stanley Cup Final history that featured four lead changes. It's over in Vegas – Golden Knights take Game 1.